I am so excited! 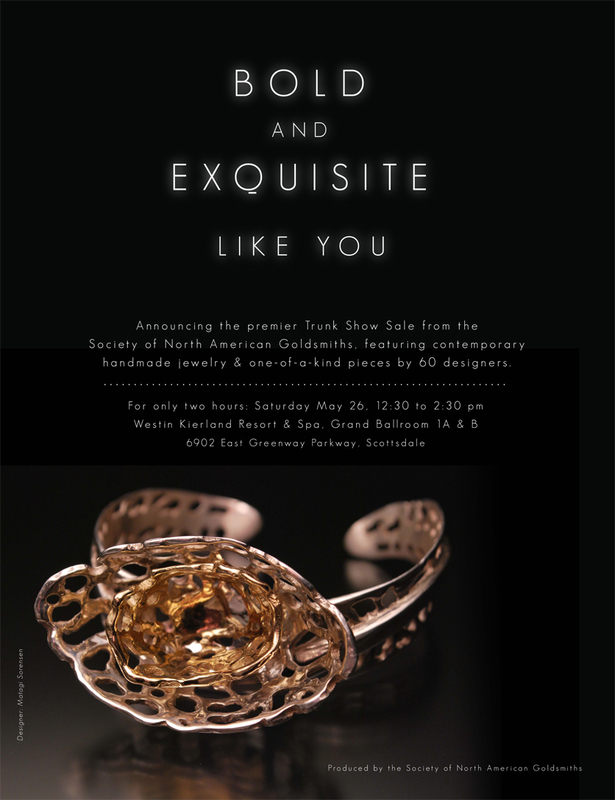 Dana Singer, the Executive Director of the Society of North American Goldsmiths (SNAG), just informed me that she liked my work so much that she used my gold and silver cocktail bracelet for a full page ad in South Scottsdale Magazine for the SNAG Trunk Show that I will be in at the end of May! The ad is on page 9! Matagi Sorensen is incredibly hard-working and incredibly talented! This is such a nice surprise – I’m really proud of him.